To answer Emily's question, Chris Matthews is actually a Redskins fan, according to an interview with Philadelphia Magazine last year - tho it does appear that if he were to choose between the Steelers and the Eagles, he would pick the Eagles. What do you expect though, he is from Philly. Can't blame the guy. His heart belongs to the Philadelphia Phillies, of course. Why am I talking about Chris again today? Because there's new Chris news! He has apparantly already chosen a home in Philadelphia to establish residency in the state. MSNBC has advised him that if he truly intends to run for the Senate, he should step down from his show soon rather than when his contract is up in June. Some think he's just using it as a bargaining chip for his upcoming contract negotiations. 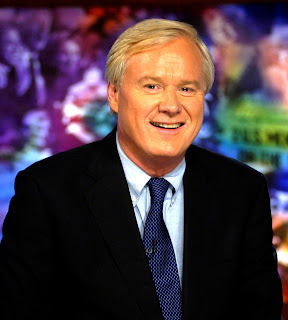 My advice to you, Mr. Matthews, is to just go ahead and run, don't press your luck with MSNBC - After all the controversy after the Republican National Convention regarding Matthews and the appearance the MSNBC (and NBC more broadly) was "in the tank" for the Dems, MSNBC doesn't have a whole lot of incentive to keep him around. 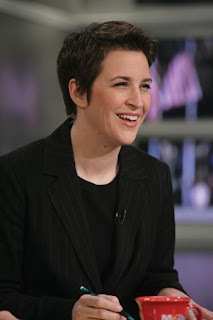 I'm a good liberal and even I can see pretty clearly that MSNBC is a pretty darn left leaning news channel - not that that's all they've got. David Gregory, Joe Scarborough, David Schuster, Chuck Todd - all relatively moderate, unbiased reporters. But then you've got the 3 hours every night of Chris, Keith, and Rachel - big delicious gulps of righteous indignation, and biting progressive wit. Of course their shows are not billed as "the news" but rather are personality driven programs with clear motivations. They don't front. In other news, the Iraqi government under Prime Minister Maliki has passed a new agreement that requires U.S. troops to be out by Jan 1, 2012. It warms my heart to know there's an end... it would warm my heart more if the agreement said 2011... or 2010... That's all I will say about that.